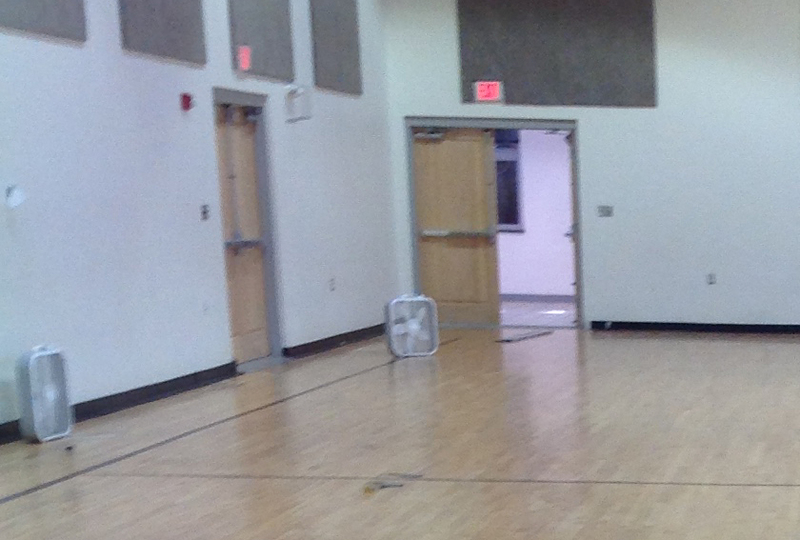 A damaged sprinkler head resulted in the release of hundreds of gallons of water into the gym, impacting half of the wood floor system. After attempting to dry it themselves, they called for professional help and ServiceMaster NCR responded within an hour. 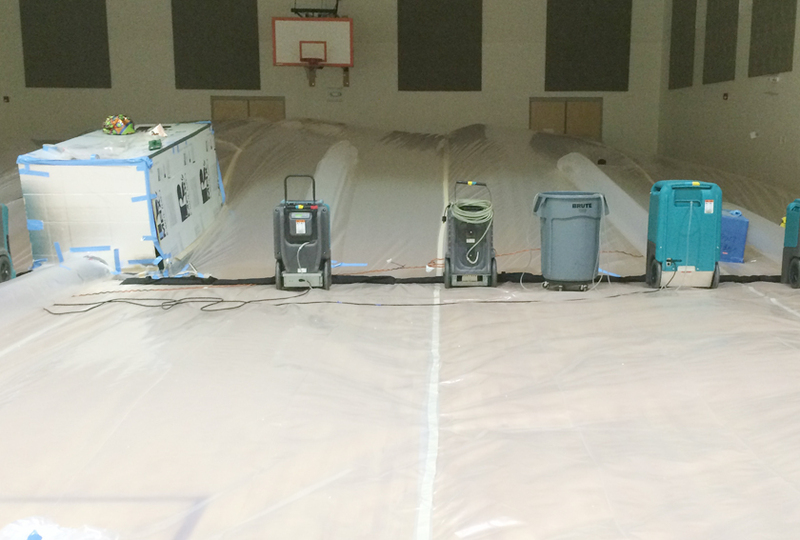 Utilizing specialized drying equipment, containment, and remote monitoring systems ServiceMaster crews began removing moisture from the saturated flooring. The only alternative to drying would have been removal and replacement of the floor, requiring as much as three months and approximately $200,000 to complete. 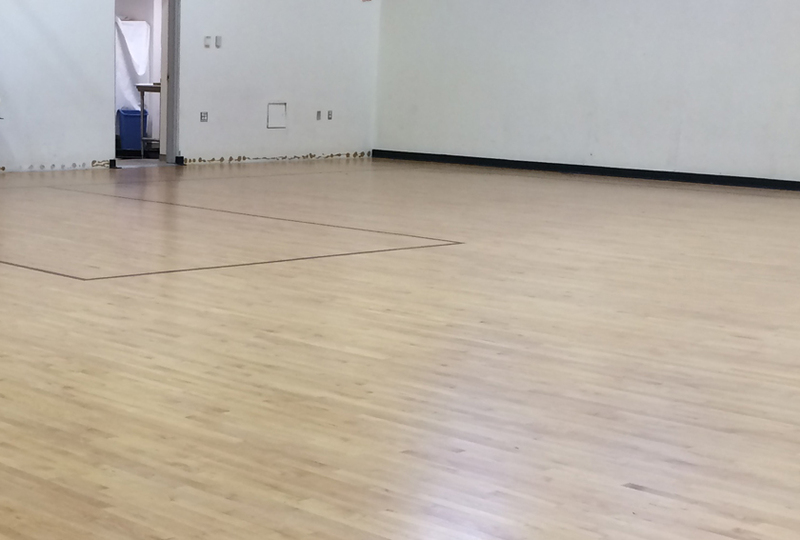 ServiceMaster had the floor dry and ready to refinish 75% faster and at barely 1/3 the cost, saving a tremendous amount of time and money. Even better, air samples with the InstaScope revealed that aggressive drying prevented the growth of mold, allaying any concerns about hidden mold growth. If excess water or flooding has caused damage in your home or building, call ServiceMaster NCR at (703) 212-7000 – we are available 24/7/365!